Tricentis AI-driven risk-based testing aligns testing activities with business priorities. We highlight what to test first, help you design test cases for optimal risk coverage, and report the business impact of any test failures that occur. Rapidly reach 80% risk coverage with our proven risk-based approach. Focus testing resources on the tasks that matter most to the business. Gain the insight you need to make smart go/no-go decisions and add trustworthy quality data to CI/CD pipelines. Stop creating, maintaining, and running tests that don’t add value (customers reduce the size of their test suites by 67%, on average). Align testing with your business risks—from start to finish. After a simple risk assessment, see what to test first and track how specific tests contribute to risk coverage. Use our proven Linear Expansion test case methodology to cover top risks with the most efficient set of test cases. Take a bloated legacy test suite and make it lean. Identify and eliminate redundant tests that you don’t need to execute or maintain. 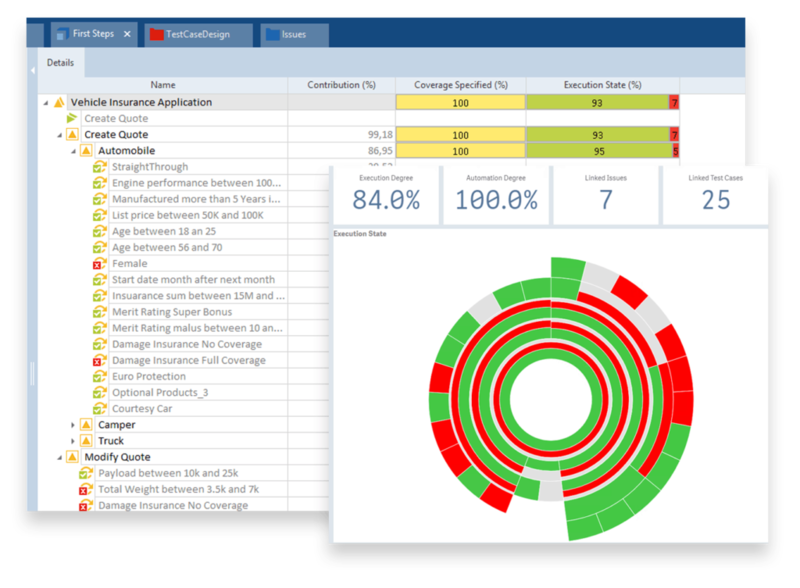 Get continuous insight into your current risk coverage and whether your release candidate’s risk level is acceptable for release. Learn how a global telecom achieved their goal of 100% test coverage—with 85% test automation, 24% fewer test cases, and 33% less effort.